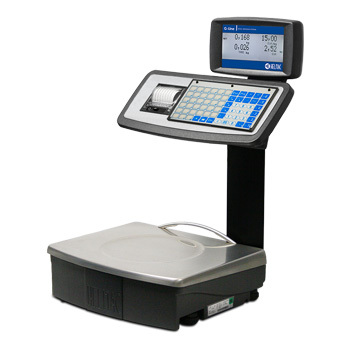 Fast, accurate, and waterproof keyboard, with 66 keys including 33 functional keys and 33 easily configurable for PLU's, TLU's and 6 additional operators. Database of 3000 PLU's, 66 with direct access. RS485 interface for connection with up to n° 4 GPE scales in a local network. 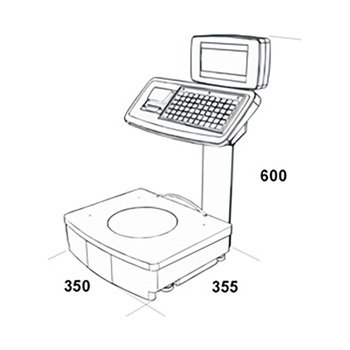 710520 GPEM scale, 6/15kg capacity, 2/5g division, with stainless steel structure and 370x310mm plate, dual backlit LCD display on column, 66-key keyboard and thermal printer. 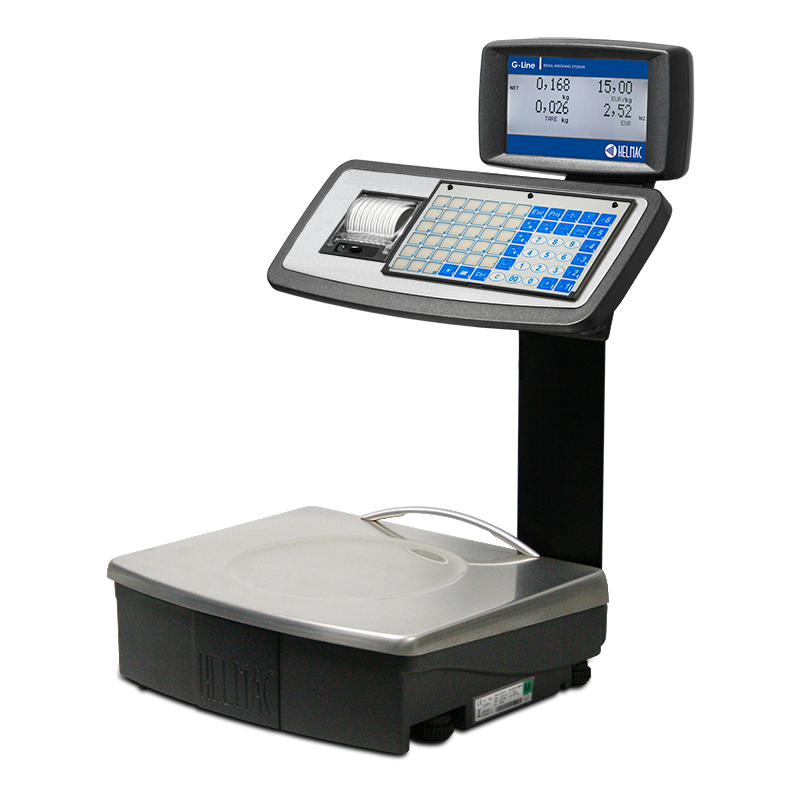 710320 GPEM scale, 15/30kg capacity, 5/10g division, with stainless steel structure and 370x310mm plate, dual backlit LCD display on column, 66-key keyboard and thermal printer. 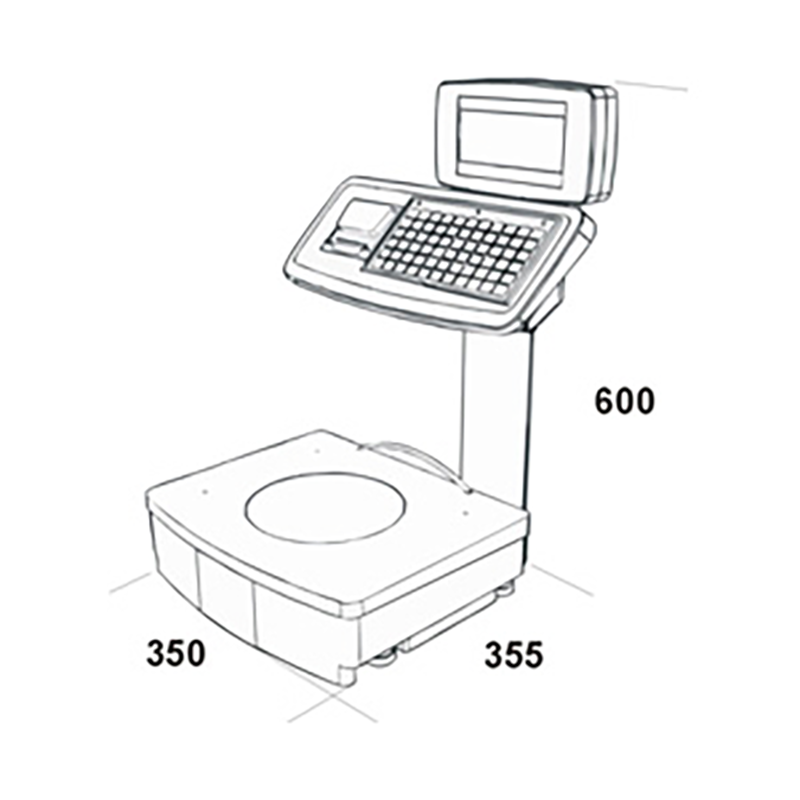 710120 GPEM scale, 12/30kg capacity, 2/5g division, with stainless steel structure and 370x310mm plate, dual backlit LCD display on column, 66-key keyboard and thermal printer.